Al Golin, whose public relations firm worked with McDonald’s for more than 60 years, passed away on Saturday. He was 87. Golin made what is now a famous cold call to McDonald’s founder Ray Kroc to pitch how public relations and community engagement could help Kroc grow his brand. Kroc retained Colin’s agency for $500 per month, marking the start of a relationship that lasted more than half a century — the longest-lasting client-agency partnerships in public relations. Golin worked with Kroc and every McDonald’s leader since. He had a hand in creating or expanding famous programs for the Oak Park, Illinois-based fast-food chain, including Ronald McDonald House Charities, the McDonald’s All-American High School Basketball Game, and the McDonald’s All-American High School Band. Golin was born in Chicago on June 19, 1929 and spent his youth attending Bears and Cubs games at Wrigley Field just blocks away from the family home. He also worked at the movie theater owned by his father. Following several years as a publicist in the Chicago office of MGM Studios during the early 1950s, Golin became a junior partner in a public relations agency – Max Cooper & Associates, which later became Cooper, Burns & Golin and then Cooper & Golin. Soon Golin became the sole owner of the agency and renamed it Golin Communications. Today, Golin’s award-winning Chicago-based agency has grown to more than 50 offices and 1,200 employees worldwide. Its clients include some of the world’s best-known brands, such as McDonald’s, Wal-Mart, Unilever, Nintendo and Texas Instruments. Golin passed away at his second home in Scottsdale, Arizona. He is survived by June Golin, his wife of more than 55 years, their three children, and six grandchildren. 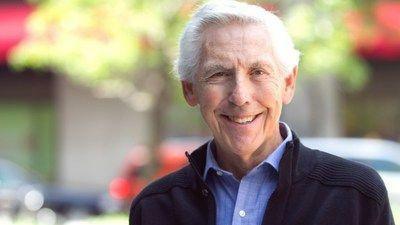 Al Golin, whose public relations firm worked with McDonald’s for more than 60 years, passed away on Saturday. He was 87 years old.